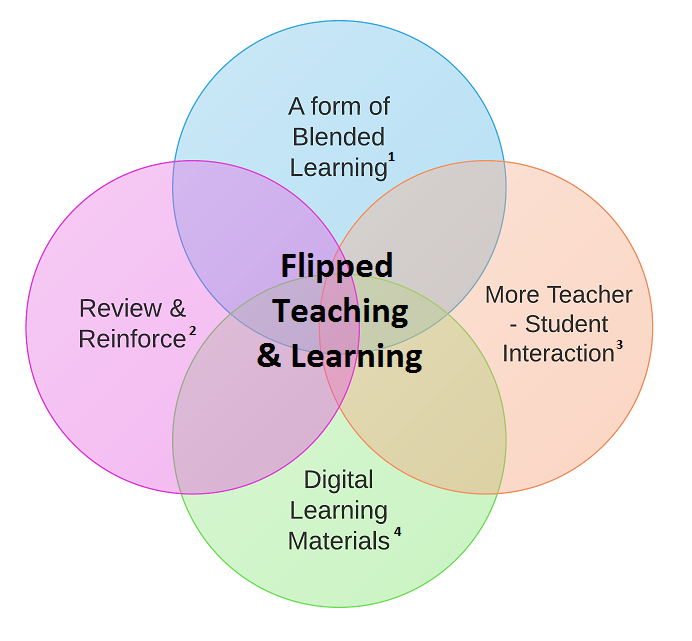 Flipped Teaching incorporates elements of online learning and traditional learning, more commonly referred to as Blended Learning. Blended Learning has been shown in multiple studies to be the optimal method of teaching (in contrast to exclusively online or face-to-face formats). Here are a few resources for further exploration: Is Blended Learning Most Effective?, Blended Learning from the EDUCAUSE Center for Applied Research. The combination of digital learning materials and increased classroom time both provide more opportunities for the review and reinforcement of learning materials (and how can that be a bad thing?). One of the fundamental advantages of the flipped classroom is the increased time teachers to get spend with students, providing personalized and differentiated instruction, and pursuing other teaching methods such as Active Learning (learn more about how the flip facilitates Active Learning in this article). Clintondale High School Principal Greg Green: “We have been able to quadruple the amount of time our students spend with their teachers”. The availability of digitized learning materials provides more opportunities for students “rewind and review”, and enables students who might have to miss an occasional class to pursue extracurricular activities (sports, service work, etc.) to consume the learning materials they may have missed. Check out these 8 Great Reasons to Flip Your Classroom (and 4 of the Wrong Reasons), from Bergmann and Sams for more advantages of ‘the flip’! Venn Diagram made with Lucid Chart for free! (Note: I overlaid the text in the middle w/MS Paint).